Home Tags Posts tagged with "Elliott Erwitt"
Two weeks ago we asked for your help to find the 20 most influential contemporary Street Photographers and the feedback we received was just fantastic. We are very grateful for your participation. 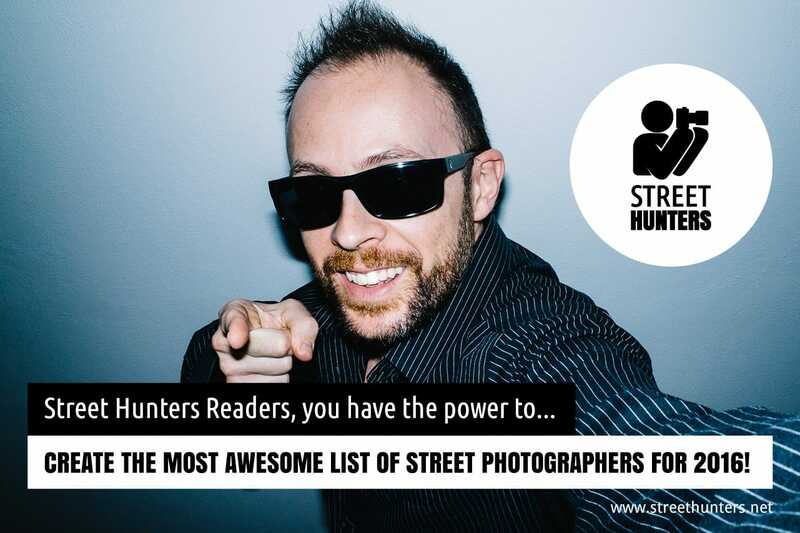 You recommended many Street Photographers out of which a list of 115 names was finally made. Thank you! A week ago, we asked you dear Readers to do one more thing for us and that was to vote for your most influential Street Photographer out of the list of 115. You voted 20,357 times! About a year ago we asked you, our Streethunters.net Readers, to make a list. 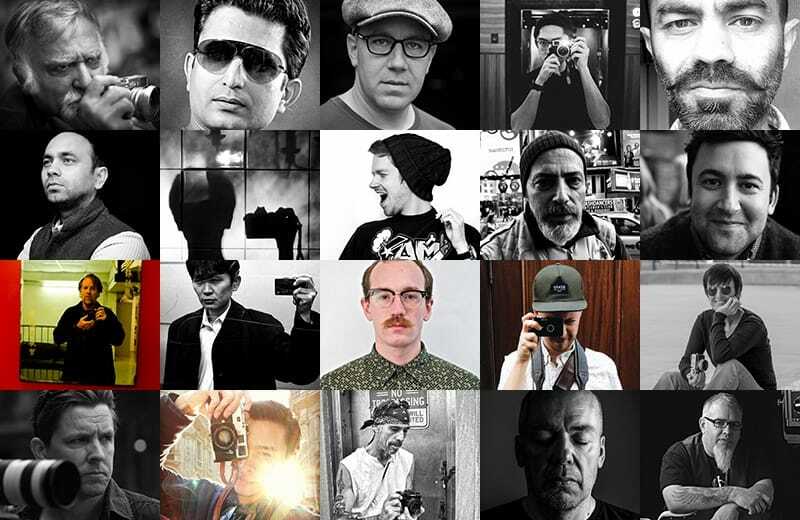 The list we wanted you to create was that of the 20 most Influential Street Photographers for 2015. In that post we asked you to nominate as many Street Photographers as you liked. The nominees that you named, then got added into a long list and we asked you to vote and from that vote we got the short list that was finally published. 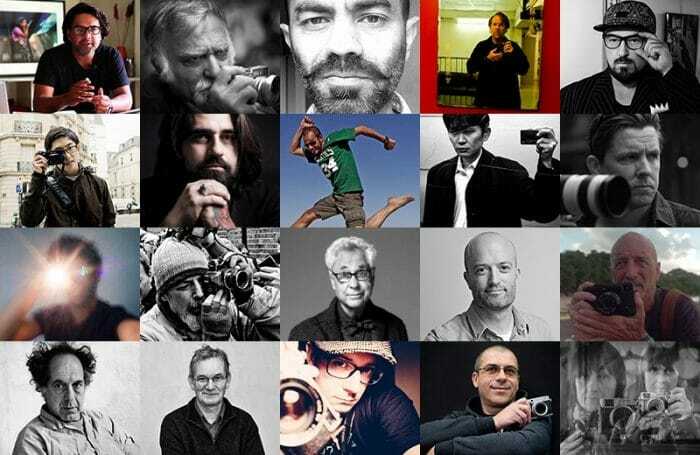 So, last year we all nominated together 75 Street Photographers. Then you voted 21,137 times and from those 21,137 votes, 20 names stood out. These names got into the first ever crowdsourced list of Street Photographers. A list that you made and that has been viewed more than 76645 times (at the time of writing this). So, this year we invite you all to do this again! Things have changed in the Street Photography scene. There are new names that are being mentioned all the time on the Social Networks, there are others out there that are trying hard to make a difference, influencing people around them. More and more Street Photographers are publishing books, filming short documentaries about Street Photography, being interviewed, winning awards and more. The list of names is ever changing and keeps on getting more and more interesting. So, since things are always evolving and ever changing we ask you once again to make your suggestions by sharing your favourites with us! Just like last year, we the Editorial team, have already made a list of names of 21 Street Photographers that we think are the most influential for 2016. 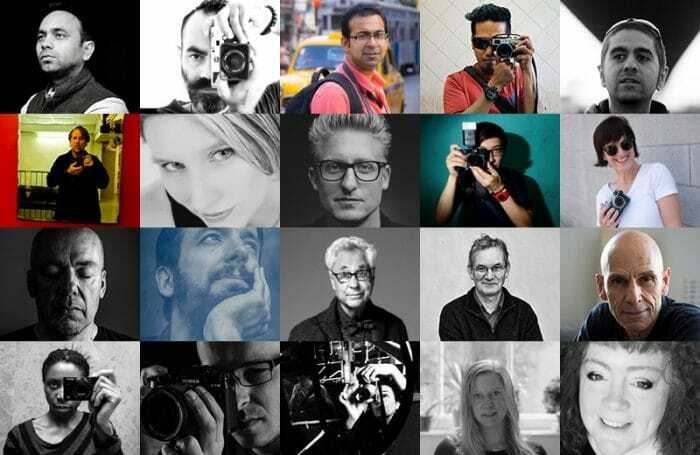 We want you to add to this list by posting as many names of Influential Street Photographers as you like in the comments. You can post 1 name or 50 names. All names will be added to a poll and then we will all vote on them. ATTENTION: These names will be filtered by us, we will not accept names of Street Photographers that aren’t truly influential. So for example if you have been a Street Photographer for the last 6 months and you want exposure and you think you can add your name to this list, think again. We want you to suggest true, influential Street Photographers. We will accept suggestions for a week, until next Wednesday evening. Then, we will take those suggestions and have a poll for another week. When the votes are in, we will know who the “The 20 most Influential Street Photographers for 2016” are. Each of the above Street Photographers are influential in their own right. For one reason or another. Somehow they have shaped the wider Street Photography community and are continuing to do so. We look forward to receiving your suggestions. So, come on! 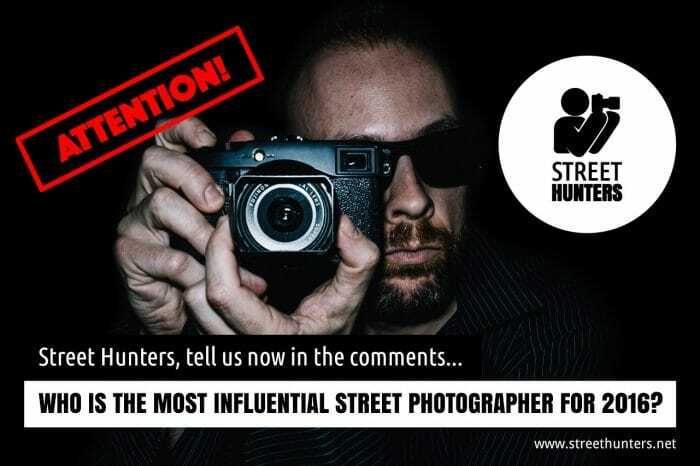 Send in the names of the Street Photographers that you think are the most influential for 2016! ATTENTION: If you can’t comment on our website for some reason, try a Social Network login to comment. If again you can’t comment, just visit our Facebook Page and share your suggestion in the comments of the post there. So, too, must the photographer kill their darlings when selecting images for a photo book, zine or exhibition. The more images in their library, the more brutal the process must be. When I look at work by prolific master Elliott Erwitt, I imagine the photos “left on the floor” are likely images I could only dream of making. 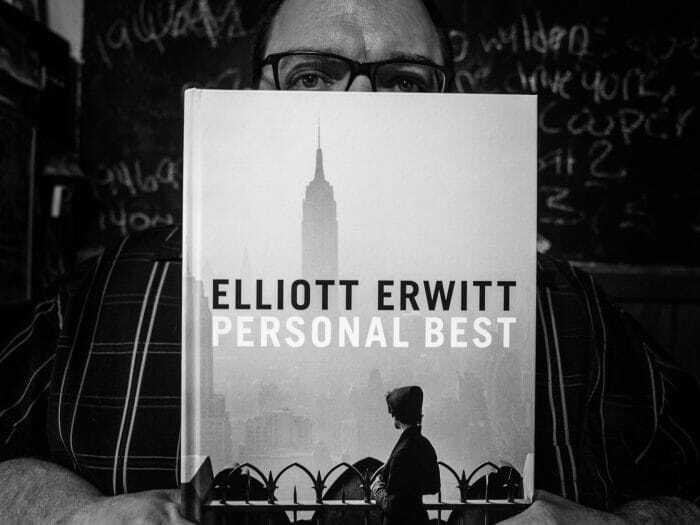 After repeatedly devouring his massive collection, Personal Best (teNeues, 2014), I wonder if Erwitt had to kill any of his darlings. Or, if the man had ever taken a bad shot in his sixty-plus year career. Before I go on, I must give a disclaimer. Elliott Erwitt (born 1928) has taken the top spot on my list of favorite photographers. Not that’s worth anything, but consider it an advance apology for my unabashed gushing over his work.